The island of St. Helena lies in the South Atlantic, covering an area of 47 square miles. The island was uninhabited when discovered in 1502 by the Portuguese navigator Joao Da Nova Castella, travelling homeward from India. He bestowed on the island the name of St. Helena, whose festival fell on the day of its discovery. Thereafter English and Dutch merchant ships called frequently to water and refit. In 1633 the island was annexed by the Dutch but no attempt at occupation was made, and it 1659 it was annexed and occupied on behalf of the East India Company. In 1673 the Dutch seized the island but were quickly expelled by the English Navy. A charter was issued to the East India Company by King Charles II in December 1673, and it remained under company control until April 1834 when it was brought under direct government by the British Crown. Coins in the name of St. Helena were first issued in 1973. 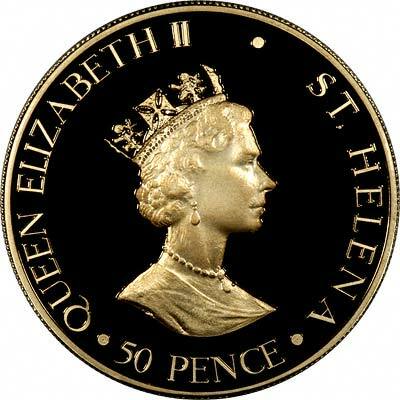 From 1984, coins have been issued in the name of St. Helena & Ascension, but some coins still continue to be issued under the name of St. Helena alone. Ascension Island has also issued coins in its own name since 1978. On the occasion of the tercentenary of the granting of the Royal Charter to the East India Company, a commemorative crown piece of 25 pence face value was issued by St. Helena. Two versions of this coins were minted; the first of ordinary coinage standard in cupro-nickel and the second of proof standard in sterling silver. 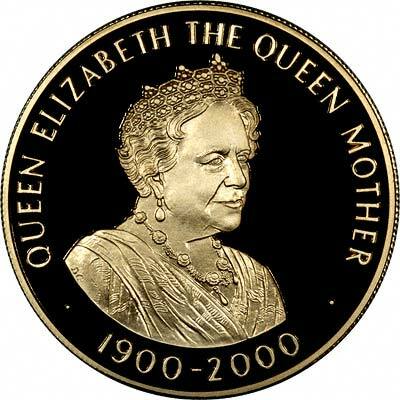 The obverse of the coin bears the portrait of Her Majesty Queen Elizabeth the Second by Arnold Machin, O.B.E. The reverse, depicting a vessel of the type used by the East India Company at the time of the granting of the Royal Charter, was designed by Mr. Leslie Durbin, M.V.O. and modelled by Mr. Robert Elderton. The earliest gold coins issued for St. Helena were in 1983. We make an active market in almost all world coins, gold or otherwise, including Saint Helena gold coins. If you have any of these coins to sell, please contact us, or post them to us for appraisal and offer.